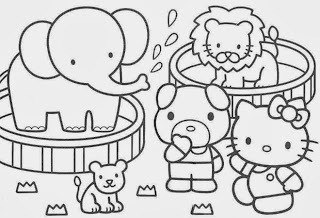 "Hello Kitty" is the name of one of the world's most famous kittens, she's so tender and lovely, if you know somebody who likes her, here there are some drawings for coloring, that I know he or she, will like. Enjoy them. Hello Kitty on a dolphin. Hello Kitty playing on a swing. Hello Kitty at the beach. 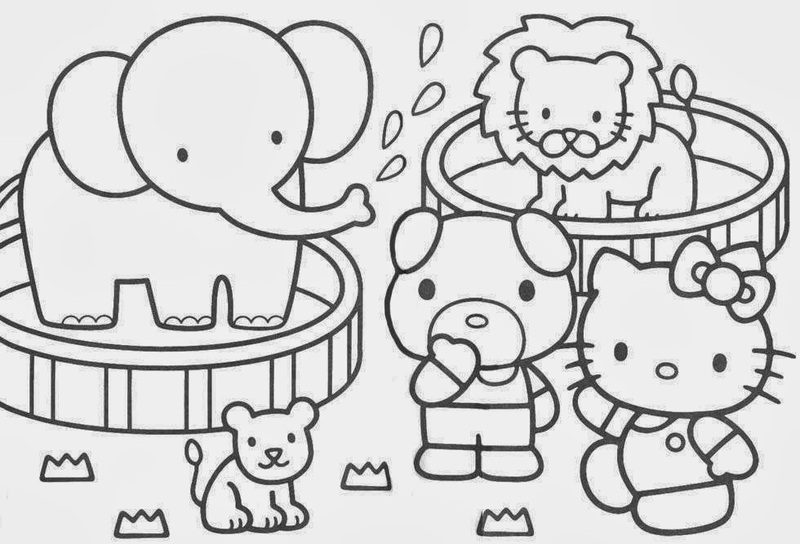 Hello Kitty in the circus. 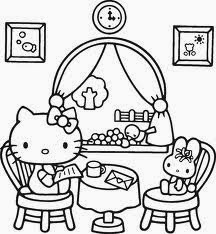 Hello Kitty reading a letter. Hello Kitty with a big heart. Hello Kitty jumping with a friend.